On September 10th, at 2pm, Chabad of South Shore will launch an exciting, 24 hour fundraising campaign with an $60,000 goal. 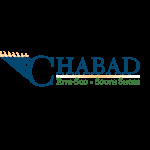 Funds raised will go to to help open the first Chabad Jewish educational center on the South Shore. Rabbi Zalman and his wife, Sterna, moved to the South Shore six years ago. From their home, they have been hosting numerous Shabbat dinners, holiday services, classes for children and adults, and preparing food baskets and coupons for those in need. Now, due to the incredible growth and attendance of events, it is time to open a Chabad center for the vibrant, growing Jewish community on the Shore. “This past year, the amount of activities and attendance significantly rose. By having an official place where we can host and run all our programs, we will be able to better serve the community,” says Sterna, director of Chabad activities. Chabad has lots of new and innovative projects planned for the coming years. Programs for all age groups, from toddlers to seniors, women’s circle, communal Shabbat dinners and Holiday events. Rabbi Zalman and Sterna value the individual and don’t want anyone to feel left out! This campaign is the main fundraiser for the year, helping cover the costs to be able to open this new center and run all these programs for the community. Spread the word! Call, send texts, emails, messages, WhatsApp blasts, and more to your contacts to let them know we are having a campaign and need their support. Like Chabad of South Shore’s Facebook page at facebook.com/chabadsouthshore and share campaign updates! Give! Whether it is $18, $180 or $1,800, your support creates a profound impact and ensures that South Shore will have a permanent center for Jewish life. Go to charidy.com/chabadsouthshore on September 10th at 2pm to donate! Comments on: First steps towards a new center!